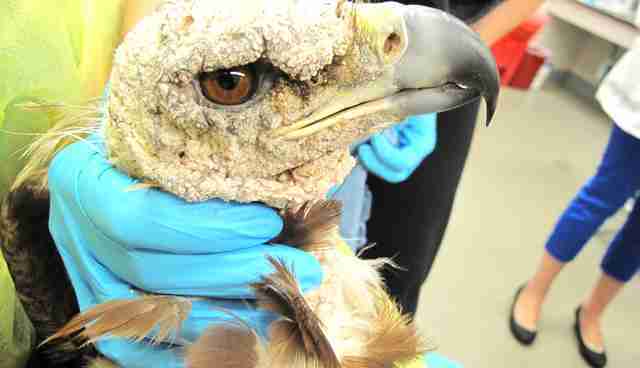 A long-suffering California golden eagle has been returned to the wild after recuperating from a severe mite infestation. 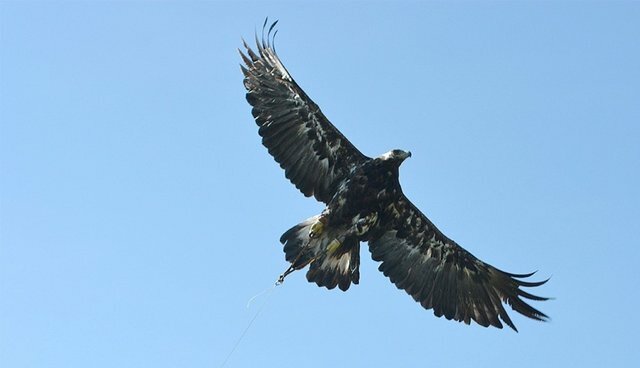 The giant raptor was treated at the UC Davis School of Veterinary Medicine for the past 8 months but the bird hasn't merely gone back to her original home -- she's gone into the wilderness equipped with some fancy high-tech footwear that could help researchers save golden eagles across the state. 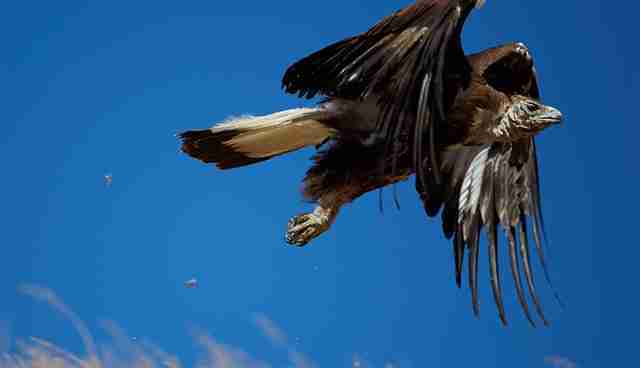 "Golden eagles play a critical role in California's ecosystem. 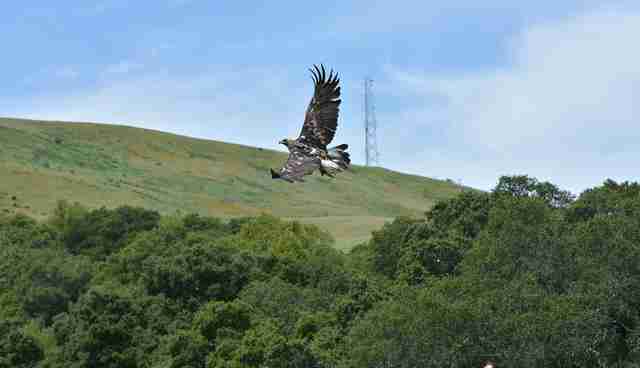 They're predators -- they keep everything in balance," said California Fish and Wildlife spokeswoman Janice Mackey. "If there's something that's happening to them, we need to find out what it is and how we can help." That's why Giffy, as the bird has been named, was outfitted with a tracking device before her release last week, which will help scientists understand her movements and, they hope, how she became infested with mites in the first place. 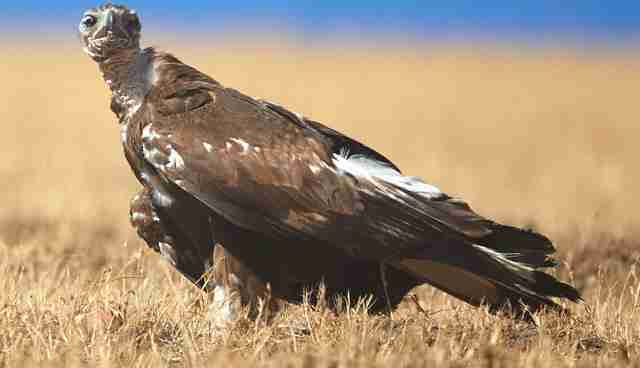 So far, only three golden eagles have appeared at UC Davis with infestations like Giffy's, but it could cause irrevocable harm if more birds fall ill. Luckily, Giffy has recovered from one of the worst mite infestations researchers have ever seen. 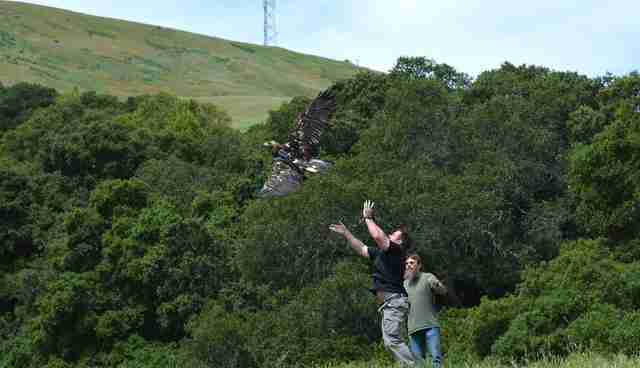 "It's one of those great moments, to see a bird take flight like that," said Fish and Wildlife biologist John Krause. "She hasn't forgotten. 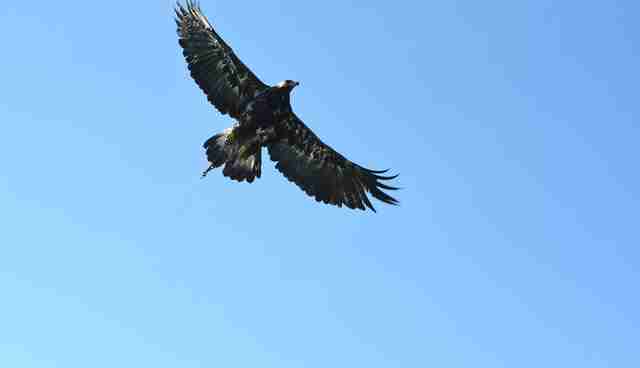 She knows she has to fly, has to eat, has to keep going. She's ready to take care of business."